OMG I am officially an author!! We are actually releasing it tomorrow morning however we wanted to give all our followers the chance to get in first because we only have limited copies. Matt and I are so excited for you all to read our book and really hope you learn things that will change the way you think about food and your lifestyle. At the same time we are feeling nervous to find out what you think. We’re super proud of the finished product and blown away by the amazing endorsements we received from Peter Siddle, Don Tolman, and Dr. Will Tuttle..
We really appreciate everyone who has supported and encouraged us throughout the process over the last few years and to say a big THANK YOU, we are running a very short promotion where you can purchase a hard copy of the book for only $14.95 (reduced from $19.95) until WEDS NIGHT ONLY!There is also a digital copy for kindle available on the website, if you are overseas or don’t want to wait. 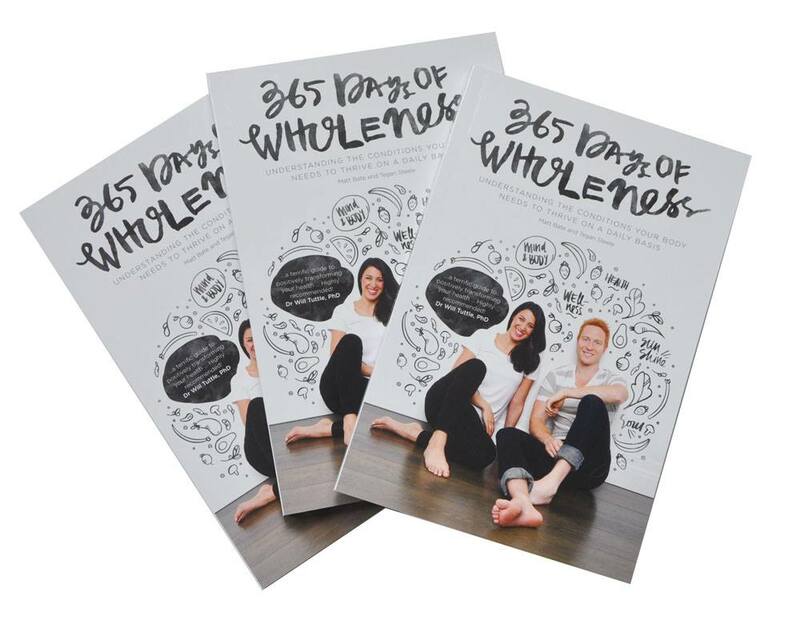 I ordered 365 days of wellness last week and wondered if it’s been posted or if it’s got lost. Things appear to go missing sometimes at my house. We would love to buy 2 copys of book but unavailable with Amazon how do we purchase book??? Hey Judy, Its strange its unavailable with amazon. I will have to find out why. Otherwise if your in Melbourne we sell it in many health food shops and a few Cafes. I apologise I have been touring around speaking at different events and have not had a chance to get onto my blog.